Shortly before that, the crew on the ISS had discovered a mysterious hole - located after air pressure on the Station began to drop, and successfully plugged. Both incidents have raised questions about the state of Russia's space industry - once the great pride of a Superpower - and the future of cosmic co-operation with the US. Investigators have pinned the blame for the failed launch on a faulty sensor on the Soyuz. 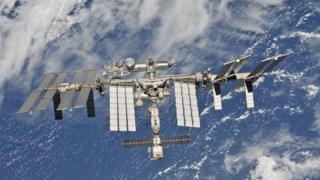 The head of Roscosmos, the Russian space agency, told the BBC it was damaged during assembly when "two cranes collided". "Our task is to take steps to ensure that doesn't happen again," said Dmitry Rogozin. He and his Nasa counterparts say they are confident in the coming mission. Who's on board Expedition 58? Some here warn that Russia's problems run deeper, though. Who is to blame for space failures? "[The failed launch] is a terrible blow to Russia's space industry and to the authorities," argues space expert Pavel Luzin. "Two emergencies in a short time means something is going wrong." Mr Luzin says Moscow ranks its space programme alongside its nuclear arsenal and seat on the UN Security Council as things that grant Vladimir Putin's Russia the "great power" status it craves. But the accident, and the unexplained hole on the ISS, sparked reports of low salaries and minimal motivation in the country's space sector, which remains entirely state-run and funded. "There's a major gap between the bosses' salaries and the general engineers, which doesn't help ensure conscientious work," Ivan Moiseyev, head of the Space Policy Institute in Moscow, points out. The Roscosmos boss even called it an "open question" whether the damage to the Soyuz during assembly was an act of sabotage. "It probably wasn't," Mr Rogozin said. "But we have to check." He raised similar questions about the two-millimetre-wide hole found on the ISS, which Russia concluded was drilled by a "shaking hand". In a sign of the tense political climate, the space chief argued that "deliberate interference in space" could not be ruled out. One newspaper reported that, behind closed doors, Roscosmos was actually blaming the American astronauts on the ISS for making the hole. Will US-Russia relations survive in space? In public both sides have been oozing positivity. "We have full trust in each other. That's the only way it can be when we're sending our guys and gals into orbit," the Roscomos chief told the BBC at an event to mark 20 years of the ISS. "Thank goodness the political winds don't touch us," Dmitry Rogozin added. "The outside environment I don't think can understand… that there is trust in this sea of other noise," Nasa's William Gerstenmaier echoed him. Scepticism is certainly strong here. With US-Russia relations sorely strained by allegations of election meddling and the crisis in Ukraine, industry observers say professions of friendship and trust are largely "polite diplomacy". The Space Station remains a powerful, and increasingly rare, symbol of collaboration. But it is set to end operations in 2024. What's it like to live on the ISS? "The politics won't affect work on the ISS, but future projects are very unlikely on the same scale," Ivan Moiseyev believes. A role for Russia on Nasa's Lunar Gateway is still under discussion: Moscow isn't happy at taking a bit-part in the American-led project to orbit the moon. "For the scientists, the best thing would be to keep the ISS going as long as possible. But it's the politicians who give the money and they're the ones with the problems," Mr Moiseyev reasons. Russia is still talking like a space superpower. Dmitry Rogozin insists its heavy rocket Angara will launch, although the date has now slipped to 2028; with it, Russia has grand plans to colonise the moon. It also has a long record of failing to follow through on pronouncements. One thing Moscow can boast of: the Soyuz spacecraft is currently the only way to launch crews into orbit, since the US ended its Shuttle programme in 2011. "We're confident in this vehicle; they figured out quickly what happened and why and how to prevent it again," Nasa's Anne McClain told a huddle of journalists. 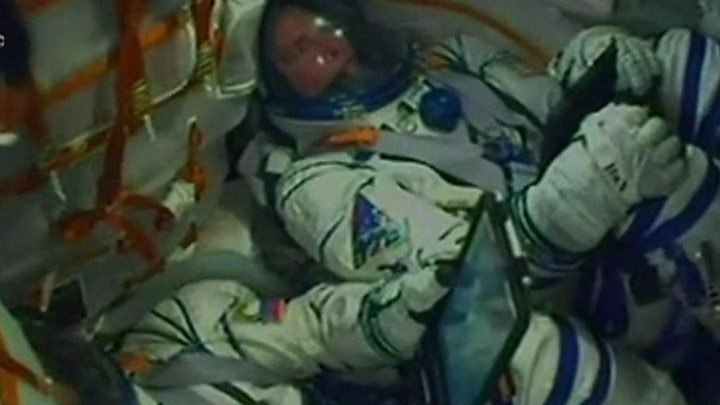 She then climbed into a Soyuz simulator for a final skills test ahead of her maiden flight. But like the ISS, that co-operation with Moscow is finite. Nasa expects crewed test flights of the two US commercial spacecraft under development next year. "Why would Americans and Europeans need to co-operate with Russia then?" Pavel Luzin asks. "They don't want to depend on Russia. That's the political challenge for us."